How Can Brands Meet the Challenges of a Changing America? 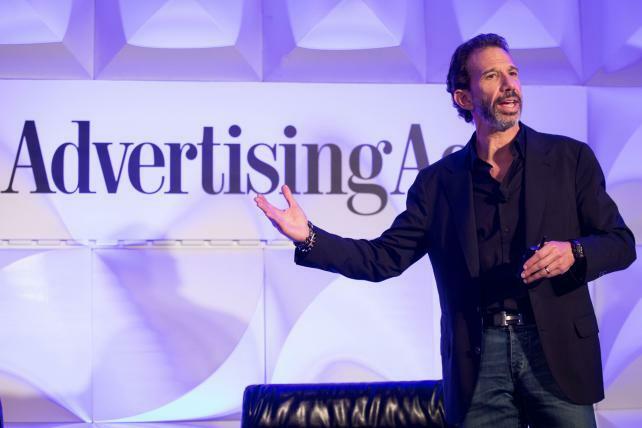 Lee Applbaum, Patrón Spirits International's Global Chief Marketing Officer, speaking at last year's Brand Summit in Los Angeles. Before the year even began, marketers knew the values, ideas and messages that seemed on-target in 2016 were unlikely to measure up in 2017. As the industry grapples with a world that's rapidly changing technologically, socially and politically, fickle consumers expect brands to keep evolving to meet their latest needs and interests. So what's a brand to do? Do you champion diversity? Sustainability? Do you also avoid controversy? How much time and resources do you devote to experimenting with new tools and platforms? And when do you decide your strategy needs a refresh? Following popular Brand Summits in Chicago and Los Angeles last year, Ad Age is bringing together brand and agency leaders for its first Brand Summit in Detroit to better understand and surface the ways marketers are facing these challenges. Join us at the intimate one-day conference and experience to hear from those who are striking out in new directions and testing new approaches to old problems. We'll also explore whether the advertising industry is out of touch with mainstream America, the concept of unconscious bias and what insights can tell us about brand reinvention. Chantel Lenard, Executive Director-U.S. Marketing, Ford Motor Co. In the spirit of brand renewal, we will also be taking excursions to some companies based proudly in Detroit. How will you meet the challenges of a changing America? Be part of the conversation and register for Brand Summit Detroit at adage.com/brandsummitdetroit.